VyprVPN is a renowned HQ VPN provider officially incorporated in Switzerland. VyprVPN is basically a product of Golden Frog, founded by two Internet veterans Ron and Carolyn Yokubaitis, who have owned and operated Internet businesses since the dawn of the public Internet in 1994 (before the Web!). Their businesses include Texas.net (one of the first 50 ISPs in the United States), Giganews (the world’s leading Usenet provider), Data Foundry (data center colocation and managed services) and Golden Frog. VyprVPN is a virtual private network (VPN) service that gives you military-grade encrypted privacy, top notch protection, security of your IP address and geo-location, and allow you to unblock geo-restricted websites and censorship with proper privacy while bypassing eyes of third parties even including your ISP. Let us somewhat know about them with VyprVPN reviewing. In this VyprVPN review we’ll introduce you first with the pricing plan of this provider so that you can choose one plan that best suits your desire of using VPN service. VyprVPN currently has two Plans: VyprVPN Plan and VyprVPN Premium Plan. VyprVPN Premium Plan is a great choice for the users who live in such countries that exercise Internet censorship such as China. Because this plan includes Chameleon protocol that is developed to bypass especially deep packet inspection (DPI) technology which is usually used by governments and websites to spy on people’s activity online, and to unblock Internet geo-restriction, while not letting them know that user is using VPN connection. You can read below somewhat detail about Chameleon protocol and my test result. VyprVPN DOES NOT accept BitCoin for buying their products and services. VyprVPN offers sleek, cutting-edge apps for Windows, Mac, Android, iOS (iphone iPad), Black Phone, Linix, QNAP, Anonabox and Router. You can secure your devices with VyprVPN in seconds. Their apps are fast, easy-to-use and stable with time-saving features like one-click connect, one-tap server selection, and a ping test to choose the fastest server. VyprVPN also supports these following platforms: DD-WRT, OpenWRT, ASUSWRT, Boxee, SynologyNAS, BlackBerry. VyprVPn’s approach is unique in the VPN industry. The VyprVPN-Service includes a professional DNS-Service (vyprDNS). Golden Frog, for its product VyprVPN, has entirely owned all VyprDNS servers, 700+ VyprDNS servers located in 66 countries world wide, to facilitate VyprVPN’s customers with all advantages . Their approach is outstanding in the VPN industry – they own, engineer and manage 100% of their VPN servers infrastructure to deliver fast and reliable connections. Every time you connect, you will automatically use VyprDNS. Server clusters in North America, South America, Central America, Europe, Asia, Oceania, Middle East. Enjoy unlimited Speed while surfing, uploading or downloading; no throttling. Use unlimited Bandwidth without any restriction or download caps. Unlimited server switching is acceptable at no additional charge. In this VyprVPN review, our main focus is to depict the security and privacy level of VyperVPN. Let’s know something about it in detail. VyprDNS: The vyprVPN-Service has included a DNS-Service (vyprDNS). All VyprDNS servers are Golden Frog’s 100% owned and operated by them exclusively for VyprVPN users. They developed zero-knowledge VyprDNS service to increase user privacy and defeat censorship across the world. VyprDNS is included with all plans and is active whenever you use VyprVPN. Every time you connect to VyprVPN, you will automatically use VyprDNS. That guarantees you more safety and online privacy. Hardware: They own and operate 100% of their VPN server infrastructure to deliver fast and reliable connections. Writing Code: They write 100% of their code and optimized VyprVPN for modern broadband connections. Network: They have in-house network engineers with decades of experience that continually optimize their global VPN network for speed. Most desktop Operating Systems have generally built-in Firewall configuration and your normal internet connection passes through that Firewall when you establish internet connection. Moreover, when you establish a VPN connection, your VPN system constructs a tunnel between your PC and the VPN server through which encrypted VPN traffic travels. This encrypted traffic in VPN tunnel also travels through the OS’s built-in Firewall and it might possibly loses the extra protection (as it cannot read the encrypted packet). Malicious packets can probably enter your system from your public IP assigned to you by your VPN service provider. This is the place where NAT Firewall is needed to protect your device and connection from third party’s incoming packets that can destroy your privacy and security. VyprVPN has installed world class ‘NAT Firewall’, a strong and configurable firewall packet filter, on all their VPN servers by default that stops third parties from connecting to your VyprVPN-connected system by creating an extra layer of online security for your VyprVPN connection while blocking unrequested inbound traffic from reaching your computer or device when connected to their VPN tunnel. No additional configuration or software is required. VyprVPN user can turn NAT firewall On/off in the Control Panel. VyprVPN has managed to create a team that is composed of talented and expert IT security personnel who believe that everyone deserves to get privacy while using the INTERNET and so they have made impressive works to offer unique, innovative and world class VPN client software / apps with great features to its users that has one of the most secured and end-to-end encryption technology in the industry. VyprVPN provides an incredibly simple VPN client that is the most up-to-date, high performing and feature-rich security service, in a word that has the features you need to defeat censorship, protect your personal data and prevent tracking you while you’re online. For ensuring military grade encrypted privacy and security in any situation, VyprVPN offers the most secured VPN protocol OpenVPN (AES-256 encryption) to establish a secured and encrypted VPN tunnel between your computer and their quality VPN servers and all in-and outgoing connections are anonymized and no third-party can see your real IP address and its associated information, although they also offer other renowned protocols beside OpenVPN so you can choose your preferred level of encrypted privacy, speed, and protection in different situations. Protocols beside OpenVPN are: L2TP/IPsec, PPTP and Chameleon™. OpenVPN: OpenVPN™ is the best performing protocol with faster speed, even on connection with high latency and across great distance, most reliable and stable protocol, even behind wireless routers, on non-reliable networks, or wifi hotspots. It is the recommended protocol for desktops including Windows, Mac OS X and Linux. OpenVPN lends itself if you want to use strong encryption, and possibly want to cascade multiple VPN servers, or want to direct your traffic through an additional proxy. OpenVPN supports up to AES-256 encryption. It has no known weaknesses. OpenVPN authenticates data on both ends through digital certificates, or through certificates with a user-name and password pair. It is proven to be reliable on all kinds of connections, such as WLAN, wired and mobile. VyprVPN uses AES-256- bit for encryption of the traffic data. As soon as the OpenVPN connection is established all Internet traffic is routed through the VyprVPN tunnel automatically, regardless of the client software being used. Their configuration files can be used with the OpenVPN client software. L2TP/Ipsec: L2TP/IPsec is a protocol built into most desktop, phone, and tablet devices. It is a good choice if OpenVPN™ isn’t supported by your device and security is top priority. L2TP/IPsec supports up to AES-128 combined with Microsoft Point-to-Point encryption. Due to the leverage of both, it is noted as highly secure if it is with 256-bit encryption. It is dependable and reliable, if your NAT device supports IPsec pass-through properly. L2TP/IPsec is more secure than PPTP, but is not as fast, therefore it’s a good choice for those that value security over speed. The disadvantage is that the user is required to trust the certification authorities (Root-CAs) that comes along with the operating system. While unlikely, this allows a theoretical Man in the Middle attack by the Root-CA itself. This is not possible with an OpenVPN connection. PPTP: PPTP is a slightly faster due to 128-bit encryption and provides the basic security. It is a good choice if OpenVPN™ isn’t supported by your device and utmost security is not your top priority. PPTP is available for Mac, Windows, Linux, iOS, Android, DD-WRT, and others — but does not supports AES encryption. Instead, PPTP uses Microsoft Point-to-Point Encryption, which has severe security weaknesses. This weaker encryption method makes it a fast performer. Problems may arise when some home routers or ISP do not allow Generic-Routing-Encapsulation (GRE) tunneling. Overall it’s easy to set up, widely supported and is a great choice to bypass geo-restrictions. Chameleon™ PRO & PREMIER: VyprVPN’s Chameleon™ technology uses the unmodified OpenVPN 256-bit protocol and scrambles the metadata to mask VPN traffic so it can not be traced or identified as a VPN connection by third parties and finally not be blocked. It is built to prevent DPI (Deep Pack Inspection), VPN blocking and throttling. I performed multiple tests using different protocols and servers offered by VyprVPN at different IP tracker websites to see with my own eyes about how much capable VyprVPN is of hiding my real IP assigned to my local ISP. I am highly impressed that I found all of them supremely OK. I only show below here the image of the result got at my favorite IP tracker website www.ip-tracker.org where I used OpenVPN protocol. The image shows that their client software works perfectly in hiding my local IP address, as my IP is not visible at all. You only see a Hong Kong IP Address 27.100.16.49 perfectly altered by VyprVPN. Kill-switch is an innovative feature to ensure data privacy and security of all users by disabling all internet activities when the VPN disconnects. To ensure complete protection, VyprVPN added this ‘Kill Switch’ feature in their VPN software that disconnects all your internet activities if the VPN connection drops. It means when kill-switch is enabled and the connection interrupts, the client software automatically blocks all outgoing network connections so that your real IP is protected from being visible. This is an optional feature so you can switch it on if you feel the need. VPN is here to provide security and anonymity to users. But, this tool only manages to protect the user’s privacy until it is connected. In most disconnection cases, users do not even realize that their VPN connections have stopped working. Cyber criminals and surveillance agencies stay on the lookout for these few unprotected moments to get into a system and compromise its security. Luckily, this will not be the case anymore with VyprVPN users, because they have introduced this Kill Switch feature in its VPN Apps. According to my practical experience, their Kill-Switch technology works perfectly. Very impressive. Reports from some users have brought to light an Internet security hole first in VPN industry that might reveal your local IP address to websites/web-Browsers through ‘WebRTC’. The ‘RTC’ in WebRTC stands for Real-Time-Communication, and the API directory is used for voice calls, video chats, and p2p file sharing. This WebRTC was originally developed to aid certain types of connections between browsers without the need for an additional plugin. But today’s most remarkable worrying subject in VPN industry has been WebRTC that could be used to discover your local IP address assigned to your local ISP, even under the presence of a VPN connection. So, does VyprVPN client software have the capability to protect your local IP address from being leaked through WebRTC? There is growing concern worldwide about VPN protocols being inspected, throttled and blocked by governments, corporations and ISPs via deep packet inspection (DPI). Golden Frog’s engineers have been able to professionally develop a remarkable new proprietary VPN technology called Chameleon. VyprVPN’s Chameleon™ technology basically uses the unmodified OpenVPN 256-bit protocol for the underlying data encryption and scrambles the OpenVPN packet metadata to mask VPN traffic so that it can not be traced or identified as a VPN connection via deep packet inspection (DPI) and finally blocked. Chameleon is built to prevent DPI, VPN blocking and throttling, while still keeping it fast and lightweight. The result is that VyprVPN users are able to bypass restrictive networks put in place by governments, corporations and ISPs to achieve an open internet experience without sacrificing the proven security for which OpenVPN has long been known. Chameleon is available in the VyprVPN apps for Windows, Mac, Android and your router. Chameleon is included in VyprVPN Premium accounts at no extra cost. Currently Chameleon is only compatible with the VyprVPN apps for Windows, Mac, Android and your router. Unfortunately, due to VPN restrictions by iOS, Chameleon is not currently available for VyprVPN for iOS. Detailed setup instructions are included in VyprVPN’s Chameleon FAQ document. Yes, I performed a test at www.doileak.com to know about how much capable VyprVPN’s Chameleon technology is of preventing a VPN connection from being inspected and traced by any 3rd party and I am very delighted to say that No VPN connection was traced by www.doileak.com and it said that ‘We could not detect your connection type‘. Note that if VPN connection was detected, then it would say – ‘You are connected via generic tunnel or VPN and have made 11 hops. Your connection type (generic tunnel or VPN) is rather uncommon for the average internet surfer, and could suggest proxy/VPN use‘. 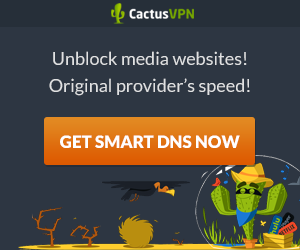 Server network Speed is a vital factor when choosing a professional VPN. Because server-speed plays an important role in managing the load of connection with your local network. However the faster the VPN, the closer you may have chance to get to the maximum speed of your network. The download and upload speeds of VyprVPN have been tested and peak speeds were found impressive and faster enough. German server was found with blistering speeds that can cope with ultra HD video without breaking a sweat. The oh-so important US connection speed is also very fast. A little less impressive connection was the UK server connection speed in comparison to Germany but it’s also faster enough for streaming. VyprVPN is popular for it’s notably consistent good speed performance across its network. VyprVPN recently adopted ‘No Logging policy‘ and changed their entire technical system concerning VPN to ensure that No identifiable Logs of user activities are kept in order for identifying users activities. In the past, VyprVPN used to keep some following connection logs for 30 days in order to to use with billing issues, troubleshooting, service offering evaluation, TOS issues, AUP issues, and for handling crimes performed over the service: User’s real IP address assigned by his/her local ISP, VyprVPN’s IP address when any user establishs a VPN connection, Connection start and stop time when any user stablishs a VPN connection and Total number of bytes used by any user during the sessions. “We are doubling down on the transparency that we’ve been known for as a business. We no longer keep logs of consumer data of any kind and had an independent organization (Leviathan Security Group) confirm this through an audit. We’re committing the VyprVPN brand to continued transparency, and to be the best VPN service that users around the world can trust. To further showcase this, we have placed the official results of Leviathan’s audit on our website which we highly recommend reviewing. After all, this is the first audit of its kind to truly prove a VPN to be absolutely No Log. As you are probably aware, we’ve recently seen other VPN providers publicly exposed as lying about their ‘no logging’ claims. We have the certificate from being independently audited that proves we Do Not Log. After free trial, when you finally purchase any plan, No refunds will be given under any circumstances to you. Note that also No refunds will be considered for accounts deleted for violation of Terms of Service. Note that for a Free trial, you’ll be required to provide your payment details in order to start the Free Trial. If you decide that you do not want to become a paying user of VyprVPN service, you must terminate the service prior to the end of the Free Trial period using our online Control Panel located at http://www.goldenfrog.com/. VyprVPN facilitates live chat support, email support and FAQ & tutorials to solve customer’s problem. Their support team is available to help you 24x7x365. Contact them anytime, via Email or Live Chat, expert support team will come forward to solve your problems. I have tested their email and live chat support and found them talented, friendly, professional and impressive. In this VyprVPN review, I must state that VyprVPN might be suitable and is highly recommended for those users who want to ensure military grade encrypted privacy of their virtual identity & other associated information while surfing online by hiding local IP address and geolocation from any unauthorized third party, to bypass any country’s Internet Censorship & Content Surveillance, as well as to access any Geo-Blocked Website with top notch privacy, or to watch or download any legal file or video with good speed and uptime. In this perspective, VyprVPN is definitely one of the best secure VPN service providers in industry.